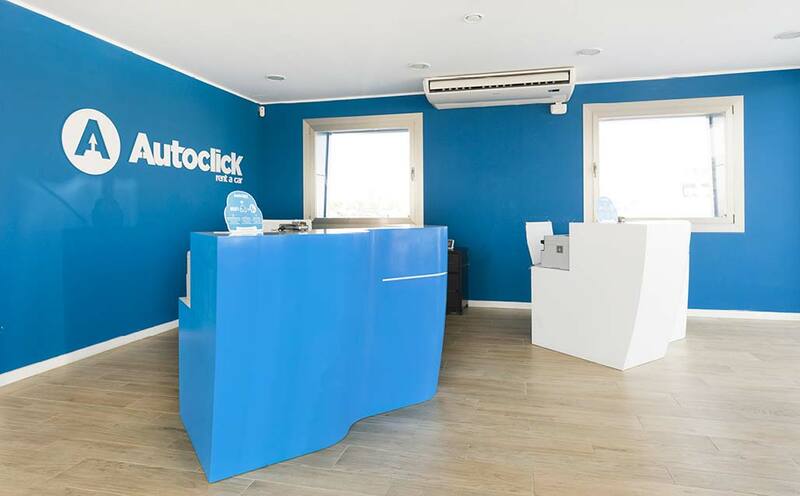 AutoClick Rent a Car, is a new car hire company whose operations began in Palma de Mallorca in 2015. In the last year, it has undergone a great expansion which is now present, thanks to the widespread recognition received from its clients, in 25 of the most important airports in all of Europe. We can now benefit from the services of AutoClick in countries such as Spain, France, Italy, Portugal, Belgium, Poland and Romania. In this way, AutoClick is establishing itself as the non-franchise car hire company with the greatest growth in Europe. Having only corporate offices available allows this young business to maintain a high-quality service, its primary focus being the loyalty of its customers through providing quality and service. PORCELANOSA Group’s solid surface is accompanying AutoClick in its expansion. In the images we can see the office at Son Oms, in Mallorca, on this occasion the company in charge of transforming KRION, in its use in commercial furnishings, has been VF Applications. We can find KRION in the public reception desks, in the colours 1100 Snow White and 6701 Blue Sky.